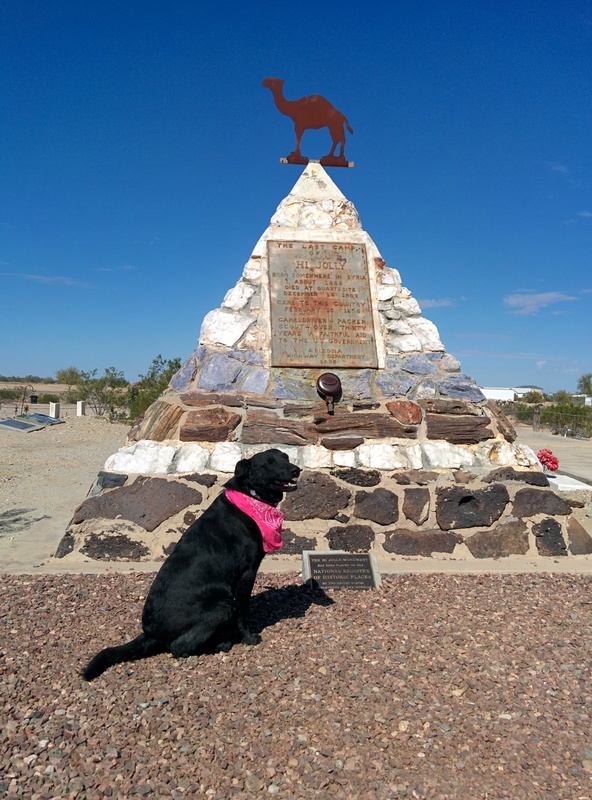 Near the main Post Office in downtown Quartzite stands a sign that says Hi Jolly Monument. It is one of those brown signs with white lettering that Willow and I find ourselves drawn to and so we took a right and head thataway. Of course, the signage from there is non-existent and so we punched “Hi Jolly monument” into Google Maps and were told to take a left off the paved road and taken on some circuitous, “scenic route” over dirt ATV trails to end up…nowhere. Nothing around the exact spot Google says is the place. So now we’re annoyed. We took a few pics of the nothingness and filed a report with Google. Our next search is for just simply “Hi Jolly” and with duckduckgo.com instead of Google Maps. That’s the ticket. 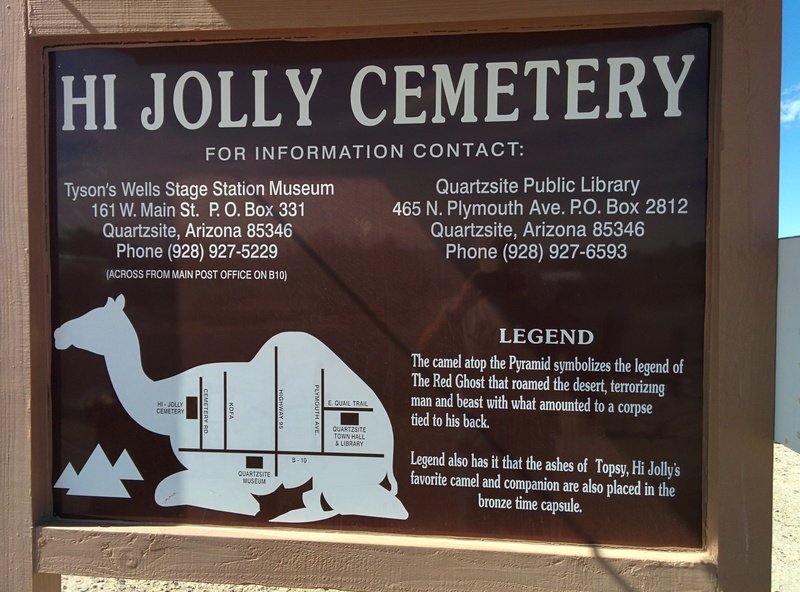 Wikipedia tells us about the man Hi Jolly, his work with the United States Camel Corps and that his gravesite and monument are in the Quartzite Cemetery. 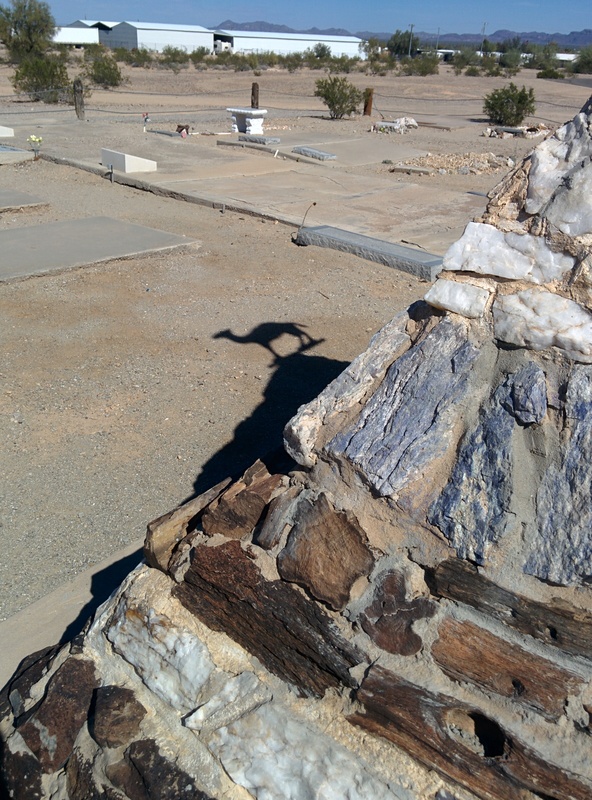 To us a monument is not generally an actual grave site but in our experience Wikipedia is rarely wrong and so we turned into the Quartzite Cemetery. Coming up the driveway one can see a prominent pyramid and so we headed in that direction. After reading the inscription we took a few more pictures. Many times a spur-of-the-moment change in direction to follow a brown sign with white lettering introduces us to scenic delights and historic wonders. This was not one of those times but still an interesting find nonetheless. 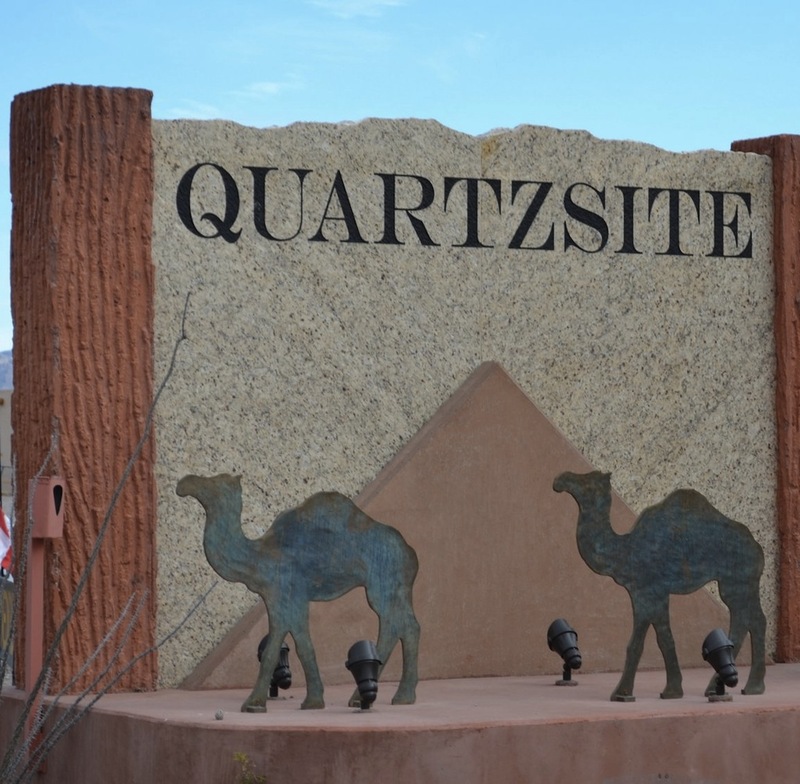 He seemed like an interesting fellow and is obviously part of the rich local history that is celebrated with the camel signs that welcome people entering Quartzite.